A text editor is a type of simple computer program that edits plain text. 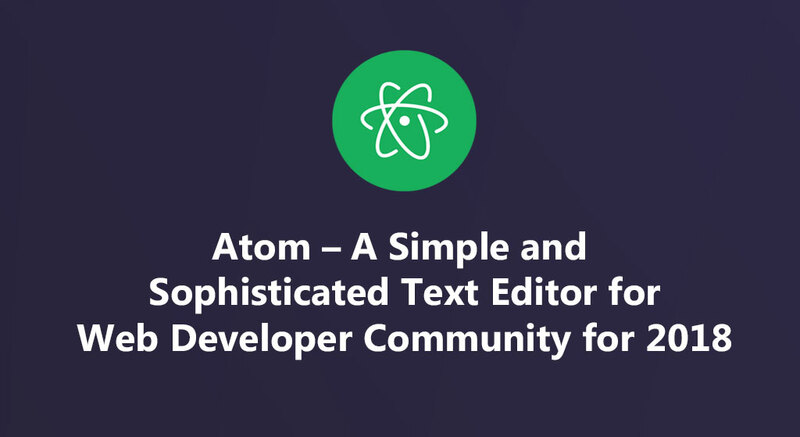 Such as Atom is the best free and open-source text and source code editor for macOS, Linux, and Microsoft Windows with support for plug-ins written in Node.js, and embedded Git Control, developed by GitHub. Great things happen when developers work together—from teaching and sharing knowledge to building better software. 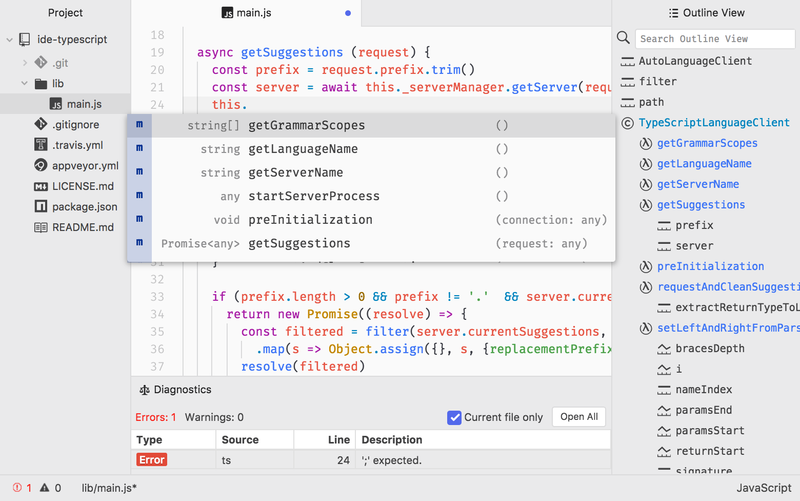 Teletype for Atom makes collaborating on code just as easy as it is to code alone, right from your editor. Share your workspace and edit code together in real time. To start collaborating, open Teletype in Atom and install the package. Atom-IDE is a set of optional packages to bring IDE-like functionality to Atom and improve language integrations. Get smarter context-aware auto-completion, code navigation features such as an outline view, go to definition and find all references. You can also hover-to-reveal information, diagnostics (errors and warnings) and document formatting. To get all these IDE features, open Atom IDE UI in Atom and install the package. A text editor is at the core of a developer’s toolbox, but it doesn’t usually work alone. 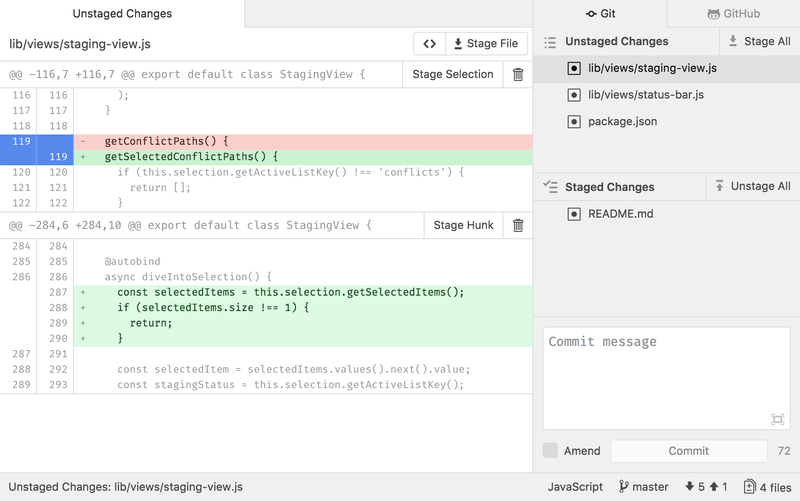 Work with Git and GitHub directly from Atom with the GitHub package. Create new branches, stage and commit, push and pull, resolve merge conflicts, view pull requests and more—all from within your editor. 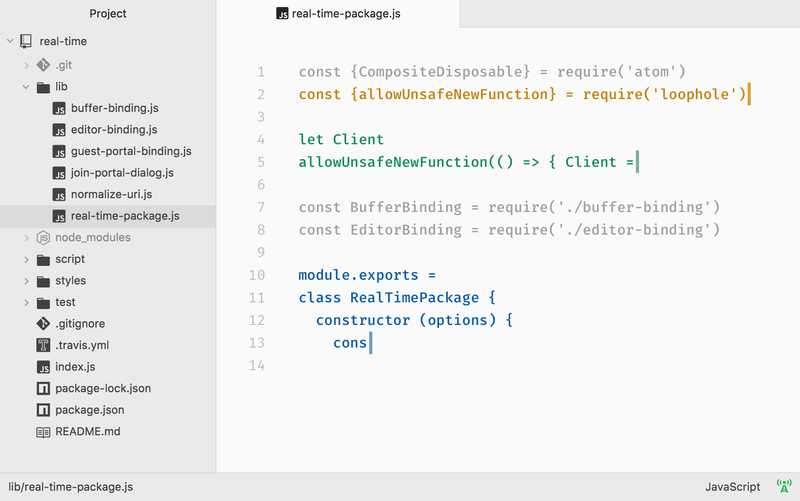 The GitHub package is already bundled with Atom, so you’re ready to go! Choose from thousands of open source packagesthat add new features and functionality to Atom, or build a package from scratch and publish it for everyone else to use. ThemesAtom comes pre-installed with four UI and eight syntax themes in both dark and light colors. Can’t find what you’re looking for? Install themes created by the Atom community or create your own. Hi :) My name is Mohammed Shaifuddin And I live in Chittagong, Bangladesh.I'm glad to see you in my page. Please check on my products, and I hope that it will be useful to you. I will be glad to your estimates and subscriptions. Have a nice day!